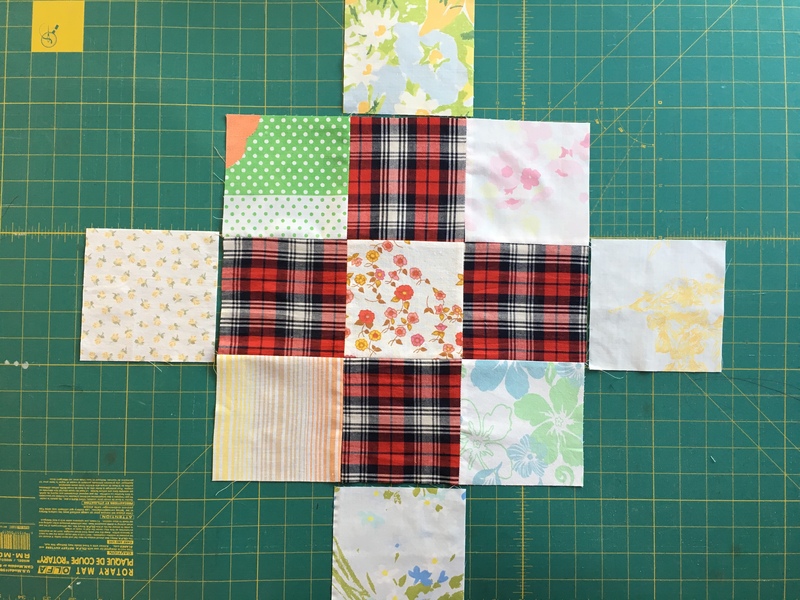 This is the crossroads block tutorial made for the Quilts for Unity project (but of course, you can use it for any other project as well). For this block you will need 13 squares, 4 dark for the ‘foreground’ and 9 light for the ‘background’ (you can also use 4 light and 9 dark). 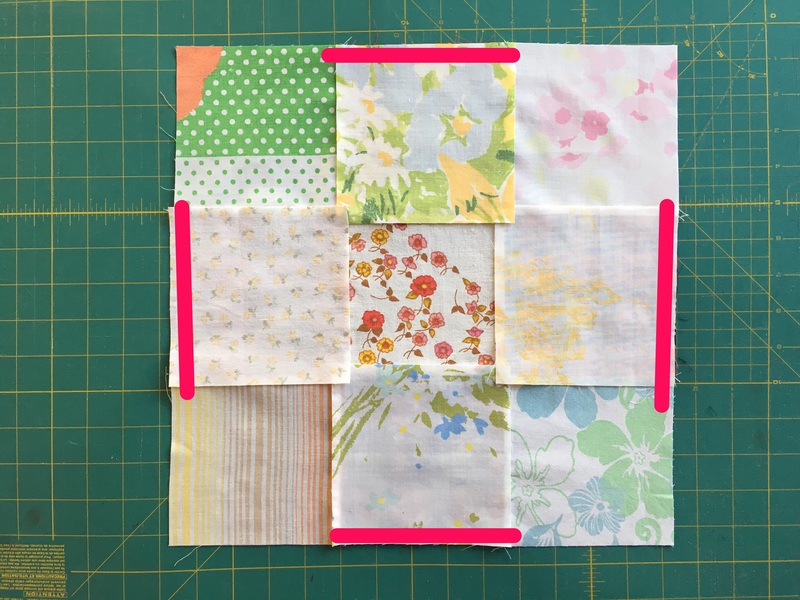 For the Quilts for Unity project these squares should be 5 in sq and you are welcome to use any fabric you want. I would like the fabric to represent the participant and in the end show are diversity. 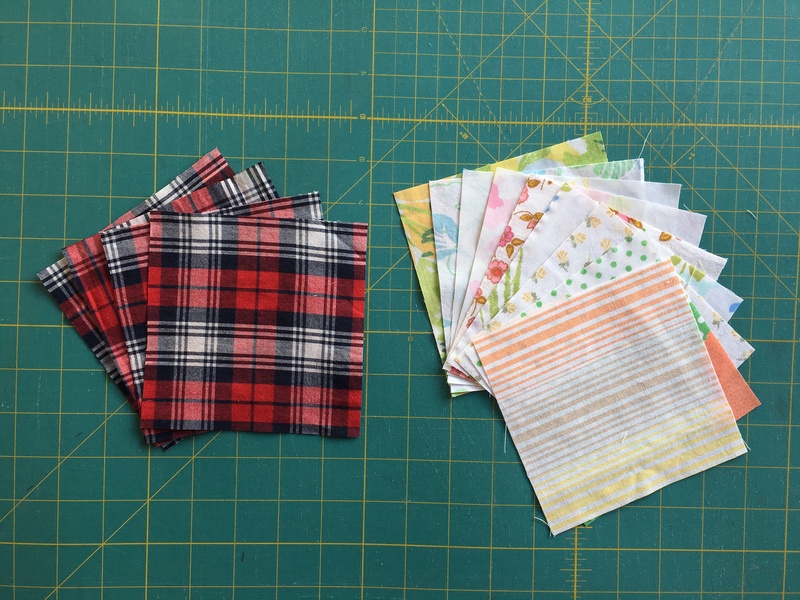 I am going with the “found” fabric and I am reusing materials found at thrift shops – shirting and sheeting fabric. 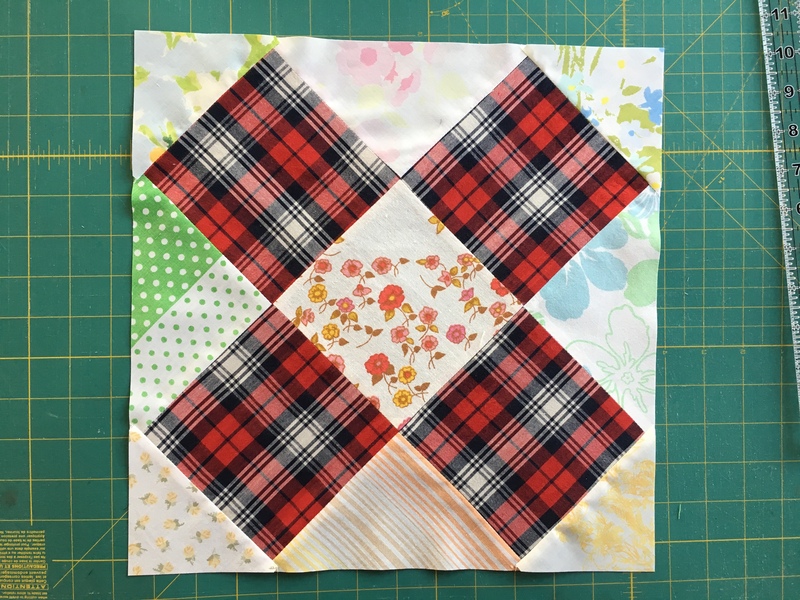 I have used different light fabrics for the background but you can use all the same fabric for the 9 squares. 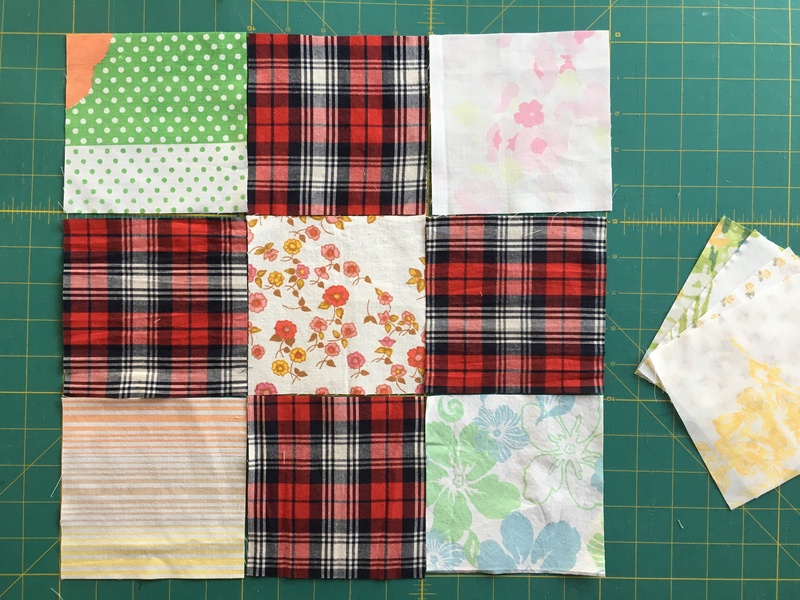 I just happened to have a bunch of squares from a previous project. Arrange the foreground (dark) squares and 5 of background squares in a basic 3×3 pattern as shown above. Keep the remaining 4 background squares for later. 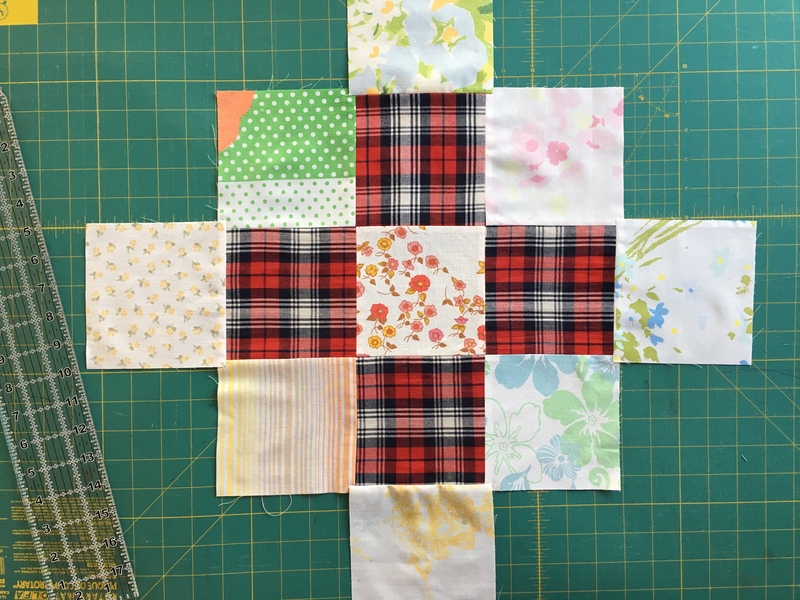 Sew the 9 squares together. 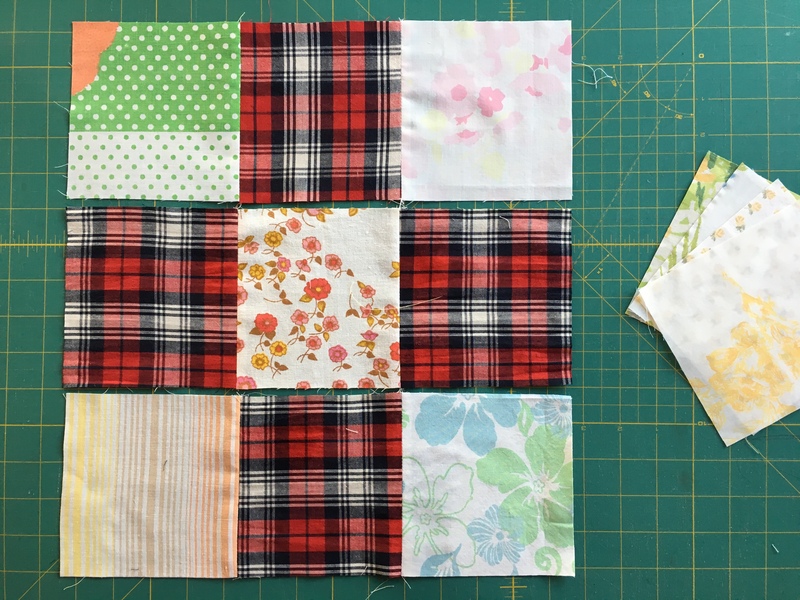 I sewed first the rows (see the first pic above) and then I sewed the rows together. Iron the seams open, because it will help with the next step, and make the final seams less bulky. Take the remaining 4 background squares and arrange them as I show above, outside the 3×3 block, next to the foreground (dark) squares. 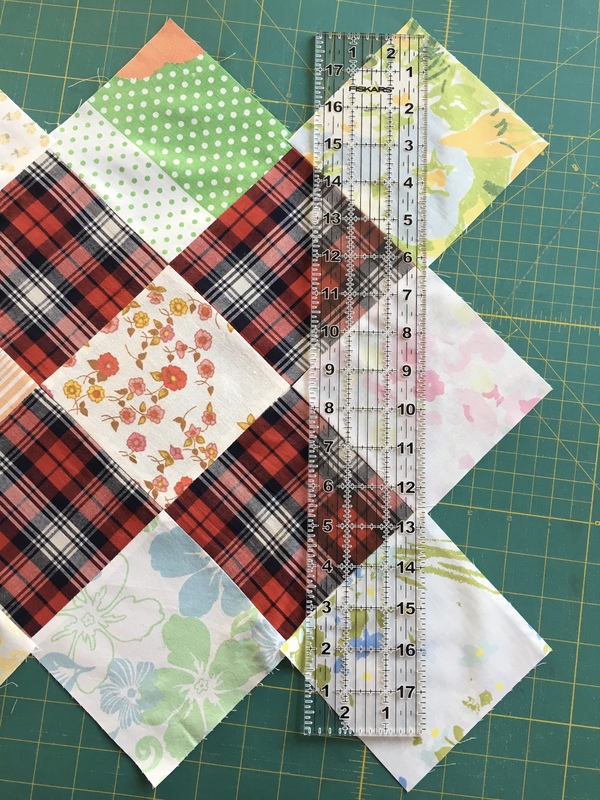 Rotate the block and use a transparent long ruler to trim the excess at 1.4 in from the corners of the dark squares. 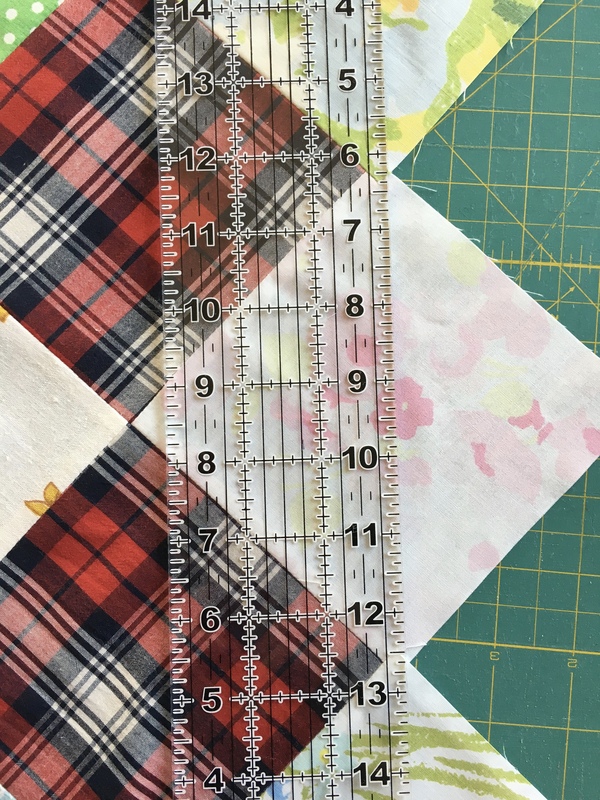 This will be the 1.4 in seam allowance for sewing these blocks together. Trim all 4 sides and you are done. This is what the block will look like when finished. It ends up at around 13 and 1/4 in squared. This entry was posted in Uncategorized on February 8, 2017 by flekka.